The Champagne Fizz cocktail is a champagne based cocktail, but it’s not as lightweight as most of them. It boasts a full serving of gin along with a few other ingredients. If you normally don’t think of champagne cocktails as real drinks, this one might change your mind. It combines gin, lemon juice and champagne along with a little bit of sugar. Instead of being a straight up pour or build, you do actually want to shake the gin with the lemon juice and sugar first to get everything blended, and then you add the champagne afterwards. There’s never any need to break the bank on champagne you’re going to use in a cocktail. You can’t go wrong with a nice prosecco, but an affordable brut works well, too. The dryness of a brut is nicely countered by the added sugar in this drink. Unlike most champagne cocktails, this one has a lot of kick for brunch. It’s a regular strength cocktail, which makes it a great choice to have with lunch or dinner. It’s easy to pair with foods because the dominant flavor is citrus. Try pairing it with Lemon Chicken Piccata – the lemon in the dish and the lemon juice in the drink work wonderfully together, and the champagne enhances the flavor of the white wine used in the dish. For your gin, pick something dry like Beefeater. If you decide it’s too dry for your taste, you can always add a little more sugar. Fill a cocktail shaker halfway with ice. Pour in your gin, lemon juice and sugar, and shake well. 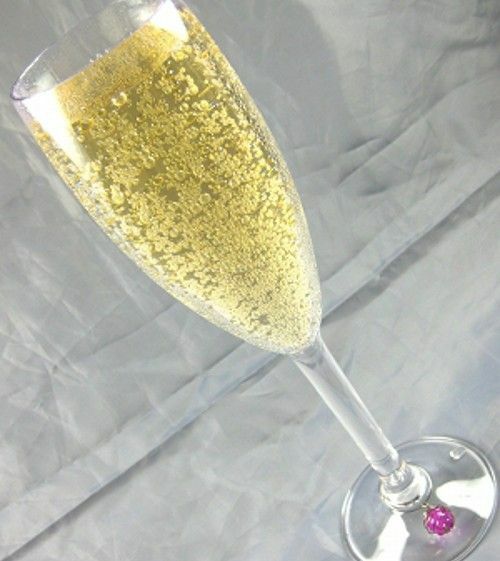 Strain the mixture into a champagne flute, and top it the rest of the way with the chilled champagne.